Go Green! Eliminate paper – use our secure & convenient online payment center! 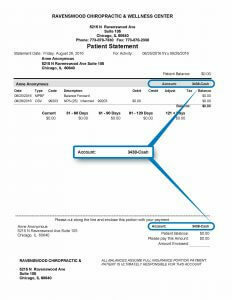 To begin the online payment process, enter the patient’s chart number. The chart number can be found on your statement at the top and bottom (see image to the right). Press the button below and you will be brought to Paypal’s secure server to complete your transaction.